The storm broke just moments ago. Now the heavy air has lifted. Rain pounds on the roof but the pressure of waiting has been released. I sit in the north-facing window. The neighbor's light, my constant guide, shines into the darkness, waiting for dawn. 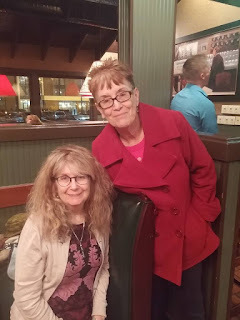 Last evening I dined with a client who has become a friend. After we had ordered, she excused herself and with her gone from the table my view to the back wall cleared. I saw a family: small child; attentive mother, tall and lean father. 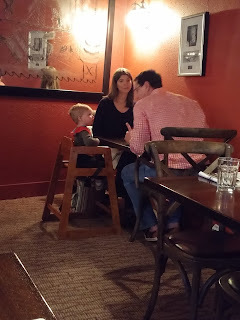 I briefly thought, That child is so small to be in this fancy restaurant! 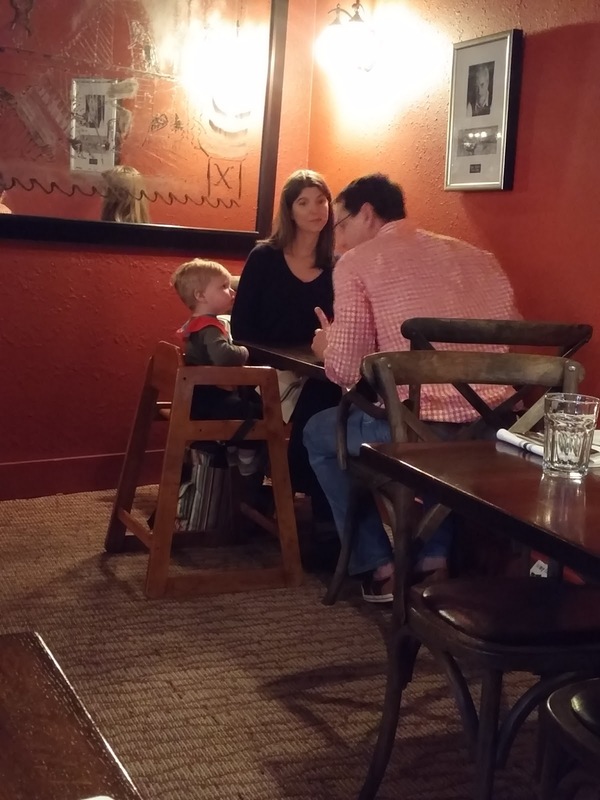 and I watched the father gently instructing his son while the mother studied her husband intently. And another small son's face raised itself before me, and I lost myself in the memory. 1996; Border's Bookstore coffee shop. I have a book propped open and a cup of coffee sitting idle. My son, four years old, sits across from me reading aloud from his own book which we have just purchased. I pay little heed, lost in the story of the novel which I have chosen. Patrick continues reading, his little voice clear, his small hands holding the edges of the book's cover, his cup of cocoa forgotten. Suddenly a movement catches my attention and I raise my eyes. Two men and a woman stand behind my son. They seem astonished at something -- something I missed, perhaps; I am not sure. Guilt floods through me. Has Patrick done or said something wrong? What did I miss? One of the men speaks. Is this your child, he asks. I feel my face scrunch with puzzlement. Whose child would he be, but mine? I nod. Do you know he's reading, the man continues. My mystification continues. I nod again. The woman says, How old is he? and I reply, "Four. He'll be five in July." I am less and less certain that I know what is happening. Are these the truancy police? Have we bothered them? Did Patrick say something naughty? What is in that book??? Patrick's voice continues, lilting, eager. He has not noticed the conversation taking place over his head. Finally I say to the first man who had spoken, Is something wrong? and he shakes his head. The second man speaks then, asking me if I realized that my son could read. My confusion deepens. I'm oblivious, I suppose; but this is my son and yes, I tell them, I know he can read. And he's only four, the woman remarks, as though perhaps I have forgotten. Five in July, I repeat. At that point Patrick gets to the end of his book. He looks at me and then notices the people standing around him. Were you even listening, he asks me, in that voice that children use when they already know what your answer will be. We laugh then; and the three move on, away from me and my son, taking with them God knows what impression of a clever little boy and his mother who takes him for granted. Twenty years later, that little boy will soon turn twenty-five and leave Evanston with an MFA in screenwriting from Northwestern University. I've been trying to recall what book he read aloud in that coffee shop, so many years ago, but I cannot. I wasn't really listening, it must be said. But I am listening now. I no longer take my son for granted. No mother should. Their lives might be fleeting; and they might leave us to our eternal sorrow. Daylight savings time sent a stream of light through the open blind at six a.m. I've given up on that blind. Today I intend to measure the window and try to find a match online. I'll order a new piece and con someone into hanging it for me. I thought that I might repair this one, but after three or four months, I cannot pretend any longer. In the meantime, the sun intrudes into the room earlier than I would request of it. I stretch, and rise, and move around the room thinking about the tasks that will fill my day. The ordinary errands of an everyday life; the chores; a trip to the cemetery; a few phone calls; a pleasant hour at the plant store. But first: let the dog out, make coffee. After the kettle boils for my pour-through, I trudge back upstairs with my Harvard cup and settle before the laptop, thinking about my mother and wondering if she's happy in heaven. My mother would have liked this house. She enjoyed wood, and character, and old things. This place has plenty of each. The built-in bookshelf; the cupboards in the breakfast nook; all the unpainted wood here in the upstairs; my mother would have smiled, nodded, and settled into a rocker with a book, her knitting in a holder on the floor beside her. The television would have stayed off, or played low for my father's sake. Mother's eyebrows would have shot clear through her forehead at the sight of my ragged sideyard and the weeds beneath the failing holly bush. I would be asked to carry my tools down the driveway and she would sit on the old stone wall wearing worn gardening gloves, pulling weeds, singing softly while she worked. Her legs would fold beneath her denim skirt; her arms would move rhythmically as the pile of pullings grew on the asphalt beside her feet. She'd wear a bandanna tied around her short brown hair. I would fetch glasses of iced tea. Beneath her deft ministrations, my yard would come to life. I would not be able to keep up with her planting, her weeding, her tending, but I would spend the time sitting on a bench near her, warming myself in the glow cast by her connection to the earth. She would hollow a well in the dirt near the downward slope of the driveway and nestle a clay birdbath into the ground. I'd pull the hose over to where she stood and watch as she filled the vessel with water. She'd lament the loss of the old cedar tree and cast her eyes about for somewhere to hang a bird feeder. Her hands would raise to point and I'd follow her direction, sweeping and bagging the clippings, chasing broken pottery around the yard and gathering the shards for the trash. The dog would find all this activity delightful, and run back and forth, yipping in her Beagle way, happy, hopeful, knowing that when the afternoon ended, my mother would take her for a walk. When nighttime came, we'd chop carrots, onions, and potatoes for a stir-fry, and eat in my dining room, with the windows open and the cool evening wind blowing through the house. My mother would listen to my soft mutterings, my heart-aches, my broken dreams, my shattered illusions. I would see compassion in her luminous brown eyes and across the drawn furrows of her olive skin. She would touch my hand and offer me a handkerchief. Then we would look at pictures of my son, Patrick, and she would tell me that I had done well with this boy. I would show her some of his writings, and the three guitars with their broken strings that he plays when he comes to visit. We would stand in my breakfast nook and look at Patrick's clay hand-print hanging next to the one her baby boy, Stephen Patrick, made fifty years ago in a kindergarten classroom. It would be my mother's turn to shed a tear; and I would do my best to comfort her. In the distance, outside my bedroom window, I see a tree rising tall above the others. The shimmering light paints its leaves with gold. It reaches towards the clouds, towards heaven, and I picture my mother seeing those same leaves from her eternal perch on a slatted wooden bench in the garden of paradise. I find myself smiling. I will carry that image through my day, and into evening. Before I even got out of bed this morning, I grabbed my cell phone, hoping to beat my sisters Ann and Adrienne to the punch. I texted my sister Joyce: HAPPY BIRTHDAY TO YOU! Then I scrolled over to Facebook, where she's recently started using a profile that I created for her. I posted the same birthday message. For good measure, I called and sang on her voice mail. I like a good tradition -- ours is, "See who can call someone first on their birthday"!!!! My sister Joyce and I shared a bedroom during my childhood. She never cleaned her side of the room; I always kept mine "neat and tidy" and made my bed "tight as a drum, neat as a pin" so that our Nana could bounce a quarter off the quilt. Joyce and I shared the sunroom for a while, with its nine windows to the outside world. She had the half farthest from the door. Once I braided a rope and stretched it wall-to-wall, dividing the room in half to stake a claim to cleanliness. That lasted until my mother pointed out that I had blocked Joyce's exit from the room. Like everyone in our family, Joyce started working an after-school job as soon as she could. She got a job at Kresge's, the dime store at Northland Shopping Center. I'd walk the three or four blocks up Kinamore to sit at the soda fountain after school, until I started my own after-school job. I would watch her waiting on customers and tell people, That's my sister. I thought she was the most beautiful girl in the world. Joyce taught me how to shave my legs and wear blue eye shadow. I adored her. I would do anything my brother Mark told me to do because I thought he was smarter than I, but my sister Joyce could command me and I would obey out of sheer devotion. I fetched food from the kitchen for her when she lay in bed needing sleep from working too late. I gathered her laundry and took her turn doing dishes. I never complained. I adored her. One summer Joyce found a black rock embedded in the edge of our driveway. She called it "shiny rock" and polished it with spit and her sleeve. She told me it might be worth thousands of dollars, and if she could get it out of the concrete, she would sell it and give the money to our mother. So she won't cry anymore, Joyce told me. We spent hours studying that rock, crouched on the driveway, knees bent, trying to pry it out with sticks. Joyce worked full-time or more during college and never had enough hours to get her course-work done. The summer before her graduation, she discovered that she lacked a required credit in Children's Literature. She worked out a deal with the professor to do reports on 100 children's books. She went to the bookmobile and came home with a box of kiddie lit. We divided the stack in half. She read 50; I read 50. Half of the reports were written in my careful high school penmanship. She got an A for the class. I've never been more proud of a grade, including when I made Law Review. 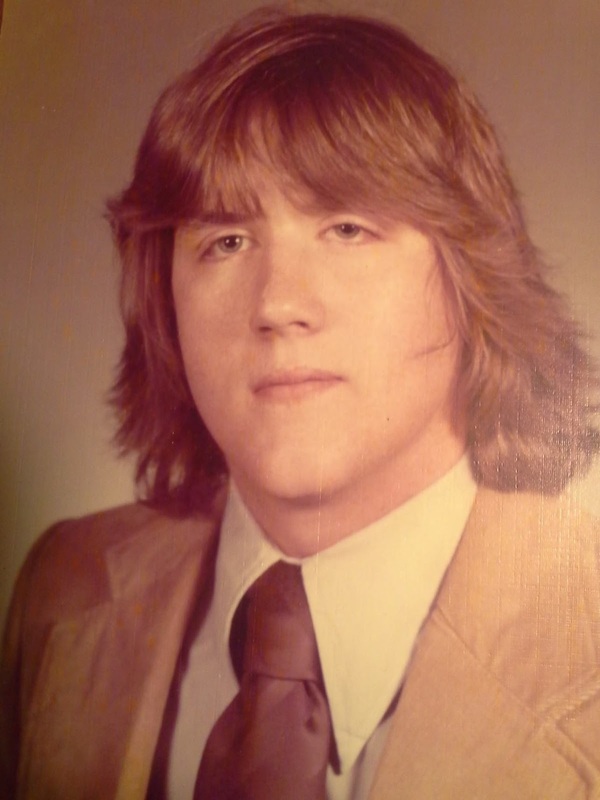 Joyce got married for the first time in 1969. I walked in her wedding. I wore a green dress and dangle earrings which I still have. 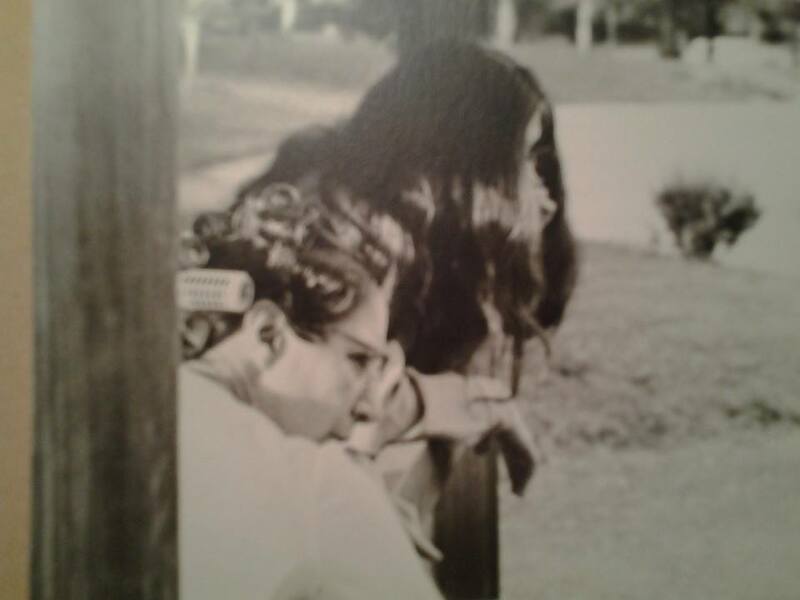 She had her daughter on January 29, 1977, and a million miles away in Boston, I wrote my new niece's name and birth-weight on a wall of graffiti that my roommates had in the kitchen. Ten years later, my sister stood beside me when I got married. We held each other through both divorces. She holds me still. She holds me still. My sister Joyce tried to get me to climb into the casket we selected for our Mother. She told the funeral guy, We want our Mom to be comfortable. I would have done it. I would do anything she asked. But the salesman would not let us. He said, Ladies, your mother will not know the difference. Joyce told him, You don't know our mother! We laughed so loud I nearly wet my pants, while the funeral director watched us with dismay. Later Joyce told him that we only wanted St. Theresa of the Little Flowers in the holy cards. Our mother's favorite saint, she explained. He told us he would personally remove all the St. Theresa's from the pack of "assorted saints" and insure that the siblings received them. I understood his willingness to do what Joyce asked. I had been eagerly following her commands for three decades. In the last three years, Joyce has faced some ugly hidden truths about the events of her life. The process nearly killed her, but she prevailed. She has survived. She proved that my adoration of her has a solid foundation. She is the bravest woman I know. I could not do -- have not done -- the self-searching which she used to confront her demons. Mine lie in wait, watching for a chance to torture me, while hers have been cast into the light and shiver beneath my sister's fierce and determined glare. Happy birthday, J-Bear. See you tomorrow. Rock on! Something jarred me awake shortly after midnight. I could not decide whether I had been pulled from sleep by the jab of bruised ribs or hunger pangs. I stood in the darkened room, bending to look through the broken slats of the blind on the north-facing window. Porch lights stretch into the distance, across the horizon. I cannot see the stars. Thoughts of Arkansas rise unbidden in the silence. I think about the many trips downward, towards the Missouri border, winding into the welcoming slopes of the Ozarks. A perfect snippet of Ellen Gilchrist sifts itself from the morass of my memory: her description of a car floating through space and time, on a winding road in the mountains coming into Fayetteville. I catch my breath, close my eyes, fall into the rhythm of those remembered words and the times I traveled that same road. I feel the contours of those miles, eastward to Jasper and my estranged husband; coming back to town, dogged by the lingering odor of desperation and failure. I am a woman too familiar with that pungent scent. I pace; I feel now that rippling burning in my legs which tells me that my brain has given over its duties to the damaged cells. I force my body to reach, bend, contort, working the kinks. I will my brain to take charge, to grab the lightening bolts and shoot them across the synapses. I visualize the pitching arc, the flash of blue, the landing. I laugh outloud at the cursedness of my writer's way of tackling any problem. A memory slips from the recesses, darting between the bursts of light in the murky pools. Driving to Kansas City, 1991, with Patrick nestled in the car seat. Suddenly my body begins to shudder and I can no longer drive. I pull off the highway; park on a road to nowhere. I lift my sleeping infant and hold him against me. We have no one; we are utterly alone. My chest tightens. A sob escapes and echoes in the little cavern where we huddle. I cannot move. I sat in that car cradling my son, until a highway patrol car pulled behind me. The officer rapped on my window. We exchanged a few words through the lowered glass and then I secured my child and continued my journey northwards, to the only place where I could hope to find comfort. The highway patrolman followed me for miles. I did not blame him. I guessed what he had seen in my eyes. A ripple across my shoulder tells me that I've sat too long at this computer. In three hours the sun will pull itself into the eastern sky and I will rouse my brain with coffee. I will dress and drive the few miles to the cemetery for a brief commune with the dead, two dear old souls who once loved me. Then I will return home and start my spring cleaning. But just now, here, in the dark of the room lit only by the glow of the laptop, I let the cobwebs linger, seduced by their silken caress. I peer into the night. A distant shape flickers across the glow of a streetlight, then quickly vanishes, too fleeting for me to discern its nature. I linger for a moment longer; then close down the computer and go to summon sleep. The week flew by. I found myself managing a crisis on a case in which I am the guardian ad litem which consumed so many hours that I forgot to eat for an entire day, which my friends will find astonishing. But I managed to cram calories into my mouth on the run late in the evening. Then, on Thursday, I savored a stark departure from my vegetarian diet by devouring gluten-free fish and chips at Louie's Wine Dive. (I recommend the petit sirah to pair. The slaw needed seasoning.) I crashed last evening, worn, weak, and wobbly. But today dawned early and I awakened feeling if not refreshed, at least not like I'd been mowed down by a crazed uninsured non-English speaking driver in a mid-sized VW -- a sensation which I've actually experienced so I feel qualified to compare. In a few hours, two youngish Waldo Brookside Rotarians will squire me to the 7th Annual Benefit for the American Foundation to Prevent Suicide in honor of Kenny Kauffman, hosted by another WB Rotarian, Erika Kauffman Wheeler and her husband, Jack Wheeler. My escorts' wives will be at home with their children; we'll join fifty or so people who've donated to AFSP, one of the leading organizations tackling education, intervention, and comfort for those contemplating suicide and those surviving the self-inflicted deaths of someone whom they loved and could not save. A few weeks ago, I cleaned out a cupboard that I cannot really reach, and out fell a sheath of thin, yellowed computer paper. I lifted it from the floor, knowing from its age and the dot-matrix print what it had to be. Yes -- the title page: Resurrecting Stephen. My feeble, unfinished attempt to make sense of my baby brother's death. As far as I know my brother only tried to kill himself twice, once by taking an overdose and once, the last, with a shotgun. The story of my brother's despair lives on telephone lines in my memory. Mary, can you come home, Stephen might need a kidney. He had fallen into a coma, near death, and a virus attacked his kidney. He awakened with swollen legs from the poison flooding his muscles and veins. He called 911. He did not ultimately need a kidney but his legs never recovered, something I learned after he died. He faced amputation, or at the very least, crippling decline. At a gathering some months after his hospitalization, I teased him about that 911 call in the raunchy, brutal way that big families have of making everything a joke. Yo, dude, really, try to kill yourself and call 911? Makes no sense. He did not laugh. He said, instead, with that quiet backwards glance my brothers all use to quell nonsense, I wanted to end pain, not make it worse. I've written of that exchange in other blogs, on Facebook, in letters, in journals. Each of my siblings has some ghost that lurks beneath the surface, rising when they glimpse some reminder of the youngest of the eight Corleys. I have no leave to speak of what haunts anyone but me; and I have not shaken the feeling of having failed my little brother, in that moment, by making jokes about his agony. In June of the year following Steve's failed attempt, my nephew Nicholas took the train to Kansas City to spend the summer with "Aunt Mary and little Boomer", his nickname for my son Patrick. I called his mother to let him know that he had safely arrived at my bungalow in Brookside. Gabe sobbed into the phone, Call your brother Mark, Nick's dad, Gabe's husband. I cannot forget my demanding reply: Kevin or Stephen? She would not say. Just call Mark. Just call Mark. Nick and I drove to St. Louis in the morning. I left Patrick with someone -- Katrina, maybe; or Punky Thomas; I can't recall. 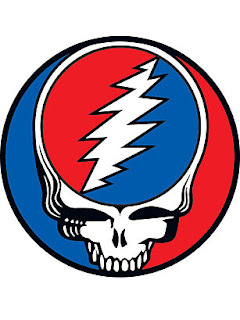 I debated taking him to the funeral but did not want him to remember his Uncle Steve as ashes in a brass box, even that brass box, with a Grateful Dead skull sticker plastered on the side. Instead of hugging my son as we listened to Steve's friends mourn him from the pulpit of my brother Frank's little parish church; instead of standing with my arms around five-year-old Patrick, in the humidity of that June St. Louis day in the cemetery by my parents' graves; I looped my arm through that of Steve's ex-wife, the mother of one of his two lost daughters. My siblings avoided her for reasons that I have no license to relate. But I could not; I knew he had loved her, knew he had adored her daughter, and knew that the loss of them had driven him insane. Just as I knew that his ragged soul had been the reason for that loss. A million film clips play in my head when I think of my brother Stephen. From his mouth and his alone, the sound of my first name did not make me cringe. In his eyes, I could dance -- hell, I could fly. He saw beneath the crippled limbs; I do not think he even perceived me as the least impaired. In another drawer, recently, I found a letter that he wrote me from New Orleans, in which he spoke of trying to make a new life. He lasted another decade after that attempt, which clearly failed. He could not shed his ghosts. He let them carry him away. When Erika told me about the benefit she started in honor of her father who committed suicide eight years ago, I never hesitated. I bought a ticket. In the 19 years since my brother killed himself, I have seen struggles to combat the lure of death in others whom I love; again, I have no license to tell those stories, but even being on the periphery of their agony moved me beyond reason. In 2014, after the death of my favorite curmudgeon, after the decampment of another whom I loved, I nearly succumbed myself on one grim night, in my car, in front of the public library. Had my friend Paula not sent her husband to find me after my phone accidentally dialed her so that she heard the wracking sobs, my wailed lament, I would not be here to write these words. I did not know Kenny Kauffman, but I know his daughter. I know the light in her eyes when she speaks of him; I know the grit within her, the determination that compelled her to start this benefit in his honor. I know her grief. I know her sorrow. I will stand with her tonight; and each year, when she hosts the eighth annual, the ninth annual, the tenth annual, I will stand with her again. I loved you more than words can tell. Copyright / Credit Information HERE.